Since moving to New York City in 1993 Carlo De Rosa has had the opportunity to work with many great artists in the Latin and Jazz World. This has led to diverse musical and cultural experiences and has allowed Carlo to work with a wide variety of artists such as Ray Barretto, Ravi Coltrane, William Cepeda, Vijay Iyer, Bruce Barth, Ed Thigpen, Nick Brignola, Mickey Roker, Steve Turre, Miguel Zenon, Hilton Ruiz, Ralph Alessi, Candido Camero, Jason Moran, Papo Vasquez and the NYC Ballet. He currently collaborates and performs with many other great artists including: Allison Miller, Ingrid Jensen, Sam Newsome, Rudresh Mahanthappa, Mark Shim, Luis Perdomo, Dave Allen, Chembo Corniel, Lucian Ban, Andrea Brachfeld, Amir ElSaffar, and Victor Prieto. As a US Jazz Ambassador in 1999 Carlo traveled to South Africa, Mauritius, Madagascar, Kenya, Tanzania, and Zimbabwe. Other performances abroad have led him to countries as varied as France, Germany, Spain, Portugal, Estonia, Russia, Switzerland, Italy, Austria, Holland, Belgium, Czech Republic, Argentina, Chile, Romania, Slovenia, Denmark and Ireland. His New York Club engagements have included the Blue Note, Birdland, Zinc Bar, 55 Bar, Smalls, Visiones, Fat Cat, Knitting Factory, Detour, Smoke, Kavehaz, Sweet Rhythm, Jazz Standard, Nuyorican Poet's Café, Tonic, Satalla, CBGB's Lounge, Barbès, Zebulon, Iridium, Cornelia Street Café, Makor and the Jazz Gallery. Outside of NYC Carlo has performed in venues such as: the Painted Bride, Ortlieb's Jazzhaus, Chris' Jazz Cafe and the Deer Head Inn (PA); One Step Down, Blues Alley, Twins, and the Kennedy Center (DC); Justin's and the Rosendale Café (NY); Churchill Grounds Jazz Café (GA); Firefly Café (MI.) and Scullers (MA). In addition, He has performed at the Verizon Jazz Festival/ NYC; JVC Jazz Festival/ NYC; Williamsburg Jazz Festival/ NYC; Freihofer's Jazz Festival/ Saratoga, NY; Parnu Jazz Festival/ Estonia; Miami Jazz Festival/ Florida; Hartford Jazz Festival/ Connecticut; Jefferson City Festival/ Missouri; Cape May Jazz Festival/ New Jersey; Kinsale Fringe Festival/ Ireland; Bucuresti Jazz Festival and Brasov International Jazz Festival/ Romania; Izzven Jazz Festival Maribor/ Slovenia; Cape Town International Jazz Festival/ South Africa; Imaxina Sons Festival De Jazz De Vigo/ Spain; Mary Lou Williams Women in Jazz Festival and Washington Jewish Music Festival/ Washington DC; Jazz in the Square Festival/ Syracuse, NY. Having given clinics and masterclasses around the globe, Carlo is no stranger to the classroom. 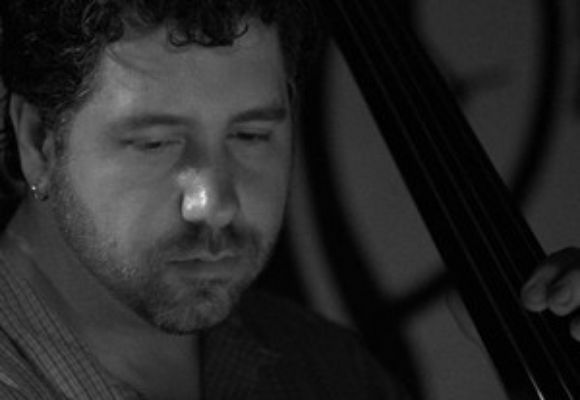 Since earning his Masters Degree at Manhattan School of Music he has developed teaching affiliations with the Drummers Collective, National Guitar Workshop, Henry Street Settlement and Long Island University. Proficient, creative, clearly an in demand bassist, Carlo De Rosa is earning a reputation of very high standards.